In a report released Wednesday, Andre Marin didn’t shy away from words like “cruel” and “deceitful” in accusing Hydro One of extortion in the way it has tried to force payment on outstanding bills. 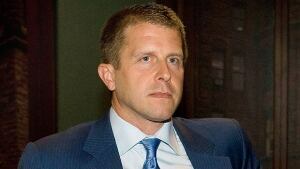 Ontario Ombudsman Andre Marin said Hydro One’s collection practices have been “cruel”. Marin said the utility has been threatening to cut off people’s electricity, even during the winter months — something that contravenes Hydro One’s own policy. “We’ve changed the letter now,” Laura Cooke said. That letter is at the heart of Marin’s latest criticism. He said he told Hydro One to change the disconnection threat weeks ago, but the complaints to his office kept rolling in. Cooke said the offending letter has been re-written again. “It was clear that [Marin] wasn’t satisfied with the changes we made to the disconnection letter … [it] now does says that we will not cut people off during the winter months,” she said. Cooke was adamant that Hydro One does not threaten to cut people off without plenty of opportunity to address outstanding bills. “One of things that we try to do with customers is ensure that people keep their accounts current,” she said. Cooke also said Hydro One looks for ways to help people keep the lights on. Marin has been looking into Hydro One billing for 13 months. To date, the number of complaints he has received recently passed 10,000 — the highest total for any of his investigations to date. Marin’s full report is slated to be issued in the spring. Two of Hydro One’s top customer service executives have parted ways with the utility in the wake of ombudsman André Marin’s probe of billing practices. Two of Hydro One’s top customer service executives have parted ways with the utility in the wake of ombudsman André Marin’s probe of billing practices, the Star has learned. Sources say Rick Stevens, vice-president of customer services, retired on Friday and customer-service director Mark Fukuzawa departed on Wednesday. “As a matter of privacy and policy, I am not in a position to comment on specific human resources issues,” said Daffyd Roderick, Hydro One’s corporate communications director. According to the Ministry of Finance, Stevens made $305,638 and Fukuzawa earned $204,370 in 2012, the most recent year for which salaries are available. It is not clear what they will be paid as they leave. Electricity industry insiders confided that the two executives departure is a result of Marin’s wide rangeing investigation into the company’s overbilling problems. The province’s watchdog announced earlier this month he was looking into Hydro One’s “egregious errors and baffling bills” after being inundated with complaints from customers. “Sometimes it’s like wrestling with a slippery pig and that’s why my heart goes out to those average citizens that try to take on the Goliath that is Hydro One,”Marin said on Feb. 4. As of Friday afternoon, the ombudsman had received 4,381 complaints, by far the most on a single government organization in the almost four-decade history of his office. The provincially owned utility has blamed a new $153.7-million customer system changeover last May for the mix-ups and has promised to fix the problems. Refunds will be issued where necessary, no customers will be charged interest for any mistake, and nobody’s power is being cut off due to billing errors. With about 1.3 million customers, Hydro One is the province’s largest electricity company. Marin has noted that a common complaint from customers is they don’t receive bills for several months and are then walloped with a huge direct withdrawal from their bank accounts. In a few cases, ratepayers have apparently had to pay $10,000 or $20,000 all at once, sometimes in error. But instead of refunding the amount errantly taken, Hydro One issues a credit against future bills. Another problem is estimated bills — as many as 70,000 Hydro customers are believed to be waiting to find out what they owe for the power they consumed. With an election possible this spring, the Hydro One debacle is a potential political headache for Premier Kathleen Wynne’s minority Liberal government. It comes after a damning report [see below] in Ontario Power Generation by auditor general Bonnie Lysyk in December led to that utility firing its chief financial officer, its executive vice-president of strategic initiatives, and its internal audit vice-president. So get this..not only do we have to worry about the radio frequency smog coming off these meters but they have also caused some serious house fires in Pennsylvania. The model that this article is written about can be viewed in the picture below. This meter is in wide use throughout North America and the picture below is from my home. I will be having this removed asap and hopefully go back to a non wireless model or something that only turns on once per day. For electrically sensitive people these meters mess with their health and well being. For the rest of the population, you are being exposed needlessly because the utility made a decision to install these without taking into consideration the well being of their customers. As stated elsewhere on this website, we don’t know the long term effect of exposure to all the e-smog we are being bombarded with. But dozens of studies point to an assortment of medical maladies that are already afflicting people worldwide because of incidental exposure. So what right does your utility have to impose their business decision on you and by doing that potentially putting you in harms way? You can read about the utility in Philadelphia that is getting rid of the wireless Sensus Flexnet 530X. This particular meter gained popularity because of its’ ability to put out an extremely strong signal that carries for miles. There is no legal requirement for the meter to be wireless in Ontario Canada. I can’t speak for any other jurisdiction as I don’t know. It simply must be a smart meter and capable of sending back information to the utility once per day. Also the company that makes the Sensus meter is in financial difficulty and looking for a buyer. 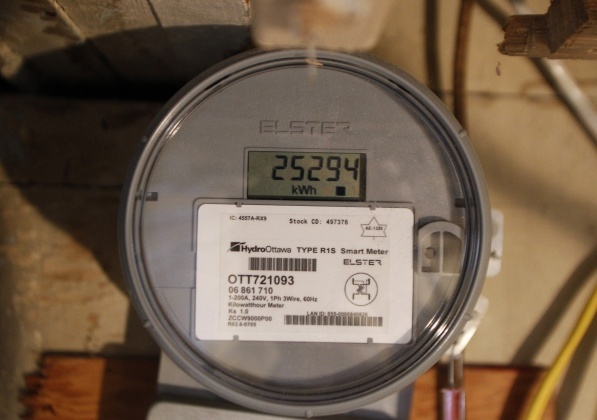 TORONTO — Ontario Tory leader Tim Hudak says mandatory smart meters are dumb. He says if he’s elected premier on Oct. 6 he will axe the program that forces seniors to do their laundry in the middle of the night. Smart meters allow people to shift electricity-consuming chores to off-peak times when power rates are lower. But Hudak says too many families are unable to do that, so the system amounts to another tax. The Progressive Conservative leader says people who like the idea designed to conserve power can opt in. Hudak does not say what power would end up costing if the system is scrapped but says flat-rate metering would continue. The registered letter that landed in Monica Bonnah’s hands on Tuesday was the last straw for the Alta Vista mother of two. After two years of polite requests, Hydro Ottawa threatened to cut Bonnah’s power — she would be on the hook for any reconnection fees — if she didn’t schedule an appointment to have a smart meter installed in her home within two business days. David McKendry, Hydro Ottawa’s director of customer service, said the power authority has been responding to a provincial initiative by installing more than 300,000 smart meters in the city — representing 99.8% of their customer base — accompanied by an extensive communication campaign. “Disconnection is absolutely the last recourse we have in any customer interaction,” said McKendry, adding most customers with smart meters have noticed little change in their bottom line. Count Bonnah as one holdout among the remaining 0.2%. But McKendry said the radio frequency fields emitted by the meters are well below the safety threshold allowed by Health Canada. “Biomedical studies in Canada and elsewhere indicate no scientific or medical evidence that a person will experience adverse health effects from exposure to (safe levels of) radio frequency fields,” said McKendry. Still, Bonnah may be buoyed to see the issue raised on the campaign trail, with Ontario PC leader Tim Hudak pledging to “unplug” the mandatory meters. Driving the message that a Progressive Conservative government would reduce home energy bills, Halton MPP Ted Chudleigh said the Smart meter would go with his party in power. Chudleigh and Oakville PC candidate Larry Scott stopped outside the Oakville Beaver office to chat with reporters. 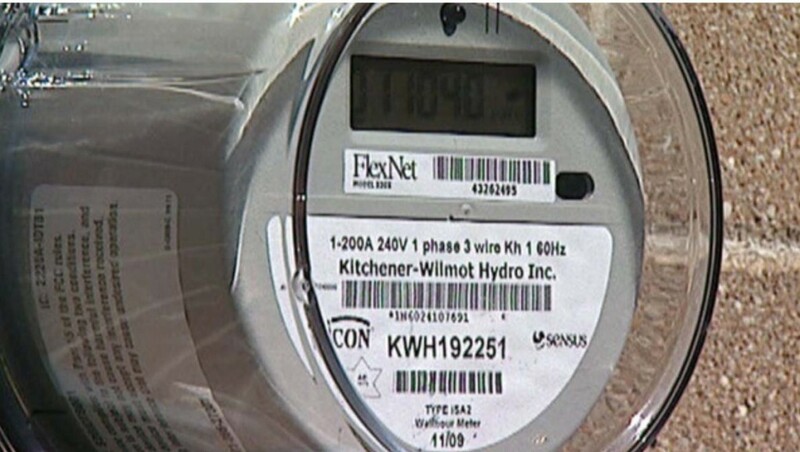 Calling the time-of-use Smart meters nothing more than a tax grab for the government, Chudleigh said Conservative party leader Tim Hudak will unplug the devices. “A Tim Hudak, PC party government will unplug Dalton McGuinty’s mandatory time-of-use Smart meters. We’re the only party willing to take a stand for Ontario families who are sick and tired of being told what to do and when to do it,” Chudleigh said. Furthermore, he said Ontario families are on the hook to pay $1 billion to install the Smart meters on every home and small business, at $200 per household. Despite the introduction of Smart meters, energy consumption has not gone down, he said. Chudleigh also talked about non-traditional power sources introduced in recent years in Ontario, including solar power. He added when the price can go down from 80 cents to somewhere between 20-30 cents it may be a viable option. Among the examples of non-competitive, improperly priced deals, Scott mentioned the Samsung energy deal that will cost $1 billion per year. Chudleigh said a PC government would return the province to affordable energy sources. “Our plan is to maximize hydro use, the use of water, gas powered and nuclear – traditional and proven sources of power that aren’t an experiment and they are cost effective,” he said. Acknowledging that nuclear power will take time to implement, Chudleigh said there is an excess of power for the moment. Because Ontario has seen a reduction of manufacturing jobs, electric consumption has not reached the summer peak since 2004 and winter peak since 2006. The provincial election will take place on Thursday, Oct. 6. Though the government has already spent nearly $1 billion installing them, Tim Hudak wants to unplug the province’s smart meters.The leader of the Progressive Conservative party was in Scarborough Tuesday morning to announce – if his party wins on Oct. 6 – it will end mandatory time-of-use pricing that goes along with the smart meters. “Time-of-use smart meters have become nothing more than tax machines…Sadly, the Velummailum’s story is one I’m hearing not only in Scarborough, but right across Ontario,” Hudak said. He made the announcement at the home of Ruthiran and Sakuntha Velummailum, small business owners who have seen both their business and residential electricity bills rise since the smart meters were installed and time-of-use rates introduced. 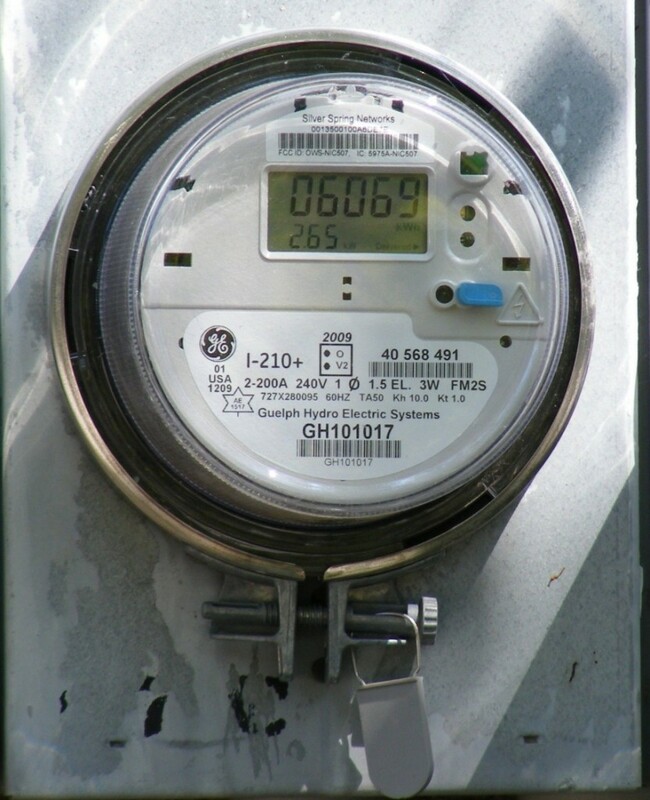 Smart meters are able to measure electricity usage hourly so that allows electricity providers (such as Toronto Hydro) to charge different rates depending on the time of day the electricity is used. When electricity demand is at its highest (peak), rates cost the most and the least in off-peak times such as weekends. Power generated during peak times is also usually the most environmentally damaging. This means people are being asked to do laundry or run the dishwasher only on weekends or at night if they want to pay the lowest rate (Toronto Hydro recently lowered the evening start time for the lowest rate from 9 p.m. to 7 p.m.). The Velummailums said their residential bills have gone up by $100 a month. Hudak said he wants to give people the choice to opt into time-of-use rates if they want to, but not make it mandatory. The Velummailums said they would be voting for local PC candidate Mike Chopowick, running in Scarborough Southwest, this time around. They voted Liberal in 2007. Hudak also pledged to remove the HST and debt retirement charge from home hydro bills. QUEEN’S PARK-Today, Ontario PC Deputy Leader Christine Elliott called on Dalton McGuinty to scrap the wasteful and bloated bureaucracy known as the Ontario Power Authority (OPA), whose ballooning budget and expenses are contributing to Ontario families’ skyrocketing hydro bills. Originally conceived as a “virtual” and “transitional” agency, the OPA has expanded from 15 employees when it was created in 2005 to over 300 employees today. OPA expenses have exploded by a staggering 465%. The number of OPA salaries over $100,000 has grown from six in 2005 to 75 including former Dalton McGuinty spokesperson Ben Chin who made $185,000 at OPA last year. Longtime Liberals Patrick Monaghan, Lyn McLeod, and Adele Hurley are also on the OPA Board.While Dalton McGuinty rewards his friends at the OPA, Ontario families are seeing their hydro bills skyrocket. Hydro rates have already gone up 75 percent under Dalton McGuinty, over 100 percent if you have smart meter tax machine. What’s worse, family hydro bills are expected toincrease another 46 percent over the next few years, according to Dalton McGuinty’s own low-ball estimate. The number of six figure salaries at the OPA has skyrocketed from six to 75 – a staggering increase of 1,250%. Smart Meters – They’re Smart, But Are They Safe? Ontario’s smart meter program needs to be scrapped, the opposition demanded Wednesday after Premier Dalton McGuinty refused to rule out a price increase for electricity during peak demand hours. After saying Tuesday that off-peak electricity rates should be lowered to convince people to change their habits to take advantage of time-of-use pricing, McGuinty wouldn’t say Wednesday if that could mean a rise in rates at peak demand times. “I’m not going to get into that because I’m not the expert, but what I can say is that we’ve got to make sure the differential between peak and off-peak is significant, so significant that it motivates people,” said McGuinty. The New Democrats said McGuinty’s comments have them worried about an increase in the peak rate for hydro, which is already nearly double what Ontario residents used to pay for power 24 hours a day. “It’s quite disconcerting that the premier dodged that question,” said NDP Leader Andrea Horwath. The Opposition accused McGuinty of forcing people to dramatically alter their behaviour in order to get the lowest electricity rates, and said consumers should be able to opt out of the smart meter program. “Who’s looking out for the senior citizen who is being lectured by Dalton McGuinty to do her laundry at two in the morning? Who’s looking out for the family with multiple kids who’s being told by Dalton McGuinty to get them showered and ready for school at five or six in the morning?” asked Progressive Conservative Leader Tim Hudak. 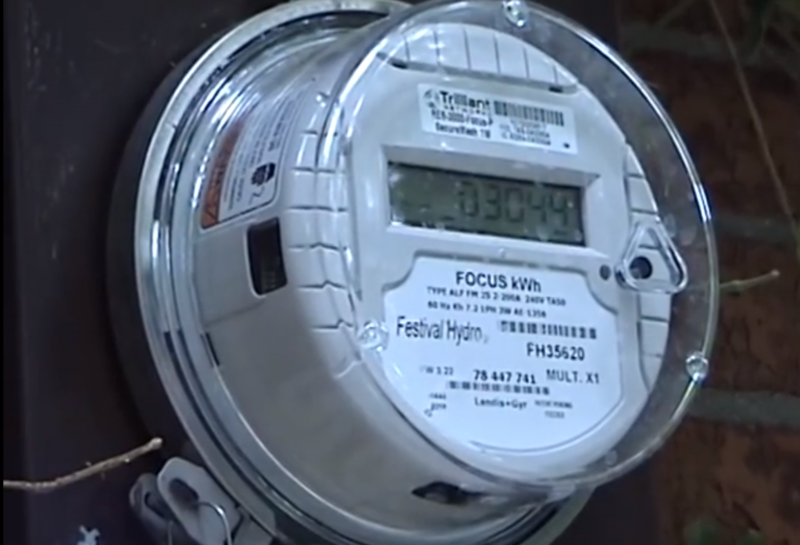 The government has spent about $1.5 billion to install 4.1 million smart meters in homes, with a goal of 4.4 million, but the cost of the meters is added to electricity bills, which were already on the rise because of the HST and green energy charges. A survey by Toronto Hydro showed about 80 per cent of people using smart meters are seeing increases, not decreases on their bills. Hudak said the program should be halted immediately because it’s not helping lower hydro bills or convincing consumers to switch their heavy electricity use to late at night. “Dalton McGuinty’s smart meters have been nothing but a tax machine to take more money out of people’s pockets,” he said. Hudak’s plan “would return Ontario to the days of weak, unreliable and dirty power,” said Energy Minister Brad Duguid. The smart meters will help consumers keep a lid on rising hydro bills, but won’t mean lower electricity bills. “Smart meters are one factor that will help consumers mitigate some of the increases, but smart meters are not meant to be the panacea that’s going to provide consumers with the ability to completely avoid all potential increases down the road,” added Duguid. TORONTO — The Ontario government would be doing consumers a favour if it were to follow the example of Hydro Quebec and abandon its plan to install so-called smart meters in all homes in the province, says the Ontario Electricity Coalition. Ontario’s minister of energy has issued a directive to the Ontario Energy Board (OEB) to provide guidance to licensed distributors and transmitters in relation to activities in support of establishing and implementing a smart grid in the province. In particular guidance is requested on the preparation of plans for the development and implementation of a smart grid, and the criteria that the Board will use to evaluate smart grid plans. Ontario’s Power Trip : Is this ‘smart’ ? While Ontario’s electricity infrastructure deteriorates, the province is spending billions on smart meters. The City of Ottawahas chosen smart grid firm Itron to deploy smart water meters and related infrastructure in town. The fourth largest city in Canada, Ottawa is using the deployment as part of a greater Advanced Metering Infrastructure, or AMI, scheme that hopes to help its local utility eliminate estimated billing for customers and improve efficiency in water service operations. The contract involves 210,000 smart water modules, fixed network two-way communications infrastructure, the software that runs it, a meter data management system and the usual turnkey bundle of services: installation, project management, training and support. The new smart modules will be retrofitted onto existing water meters, Itron says. The intelligence of the new system will allow city officials to collect time-synchronized meter data in daily or hourly increments. It will give service representatives access to real-time information when responding to billing inquiries. The networked nature of the system also allows city officials to monitor for leaks and their locations, as well as gain insights into city-wide usage patterns. 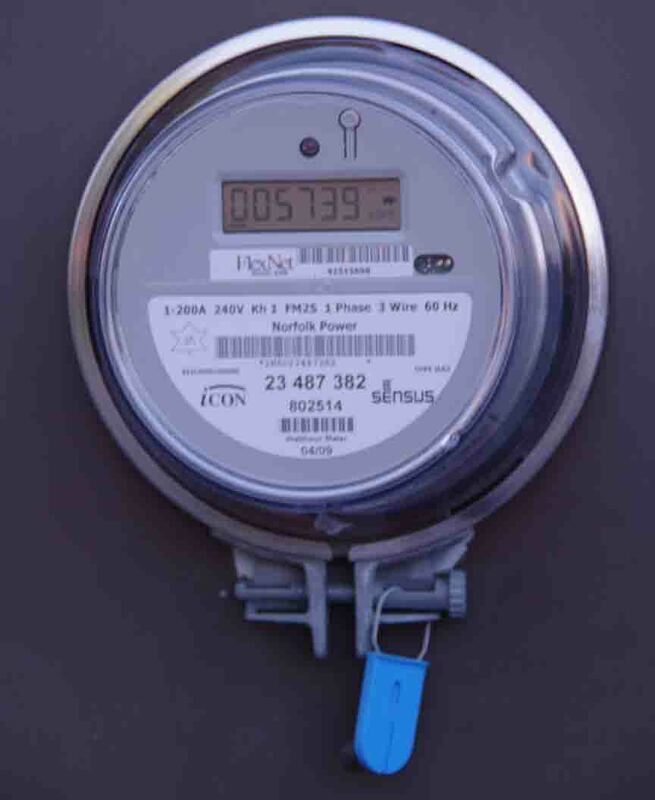 The deployment of the overall smart metering system began in January 2011; it’s expected to take two years to complete. 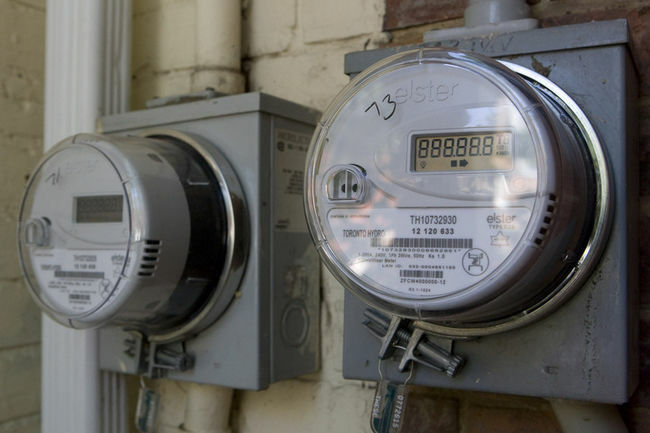 TORONTO — Local power distribution companies are balking at installing smart meters across the province, Progressive Conservative Leader Tim Hudak said Wednesday. “PowerStream, the secondlargest hydro company in Ontario, has written to the Ontario Energy Board,” Hudak said. “They’re asking for this experiment to be postponed because they say they’re worried about the impact of potential bill increases on their customers. Premier Dalton McGuinty has been pushing smart meters to be installed in every Ontario home and business, replacing mechanical meters. The new devices allow for time-of-use pricing, where peak periods of power use cost more and off-peak cost less, which the government hopes will even out consumption. Hudak has promised he would give families a choice between time-of-use pricing and the old system of tiered-use pricing, where the cost goes up depending on how much power is used in a month. McGuinty defended the meters, two million of which have been installed across the province so far. “They are being used today in B.C., Quebec, the U.S., Italy, Sweden, New Zealand, Australia and Ireland,” McGuinty said. Eric Fagen, spokesman for PowerStream, said the company has asked the OEB for more time to install smart meters for its 26,000 business users, in order to make better use of conservation programs that are coming online. But the company has faith in the technology and believes it will benefit consumers, Fagen said. “Smart meters will form the backbone of the smart grid,” he said. Premier Dalton McGuinty, having launched Ontario on a billion-dollar smart meter experiment, now admits the electricity pricing scheme that’s supposed to make it all work, isn’t. Terrific! Now he tells us. Couldn’t his experts have figured this out before he started installing smart meters all over the province? Worse, McGuinty’s government has been sending out conflicting signals on whether smart meters are even supposed to save us money. Right now, most hydro customers who have smart meters – and we’re all getting them eventually – are seeing their bills rise. And that’s just because of the meters. It doesn’t include all the other rate increases because of such things as McGuinty’s Green Energy Act and his 8% tax hike on electricity, as of July 1, due to the HST. McGuinty says the problem with the smart meters is the cheaper, off-peak rate of 5.3¢ per kwh, to encourage people to do things like laundry and dish-washing between 9 p.m. and 7 a.m. on weekdays, or at any time on weekends and statutory holidays, isn’t enough of an incentive to change old habits. For that reason, he said, he might lower off-peak rates to provide a greater price differential, compared to the mid-peak rate of 8¢ per kwh and on-peak rate of 9.9¢ per kwh. But under opposition questioning in the Legislature, McGuinty wouldn’t rule out raising mid-peak and on-peak rates to increase the differential from off-peak. Besides, the smart meter pricing system is so confusing it’s no wonder few consumers who have them are changing their habits. While the times for off-peak rates are constant throughout the year, mid-peak and on-peak occur at different times during the winter and summer months, causing further confusion. In “summer” – defined as May 1 to Oct. 31 – mid-peak rates apply from 7 a.m. to 11 a.m. and 5 p.m. to 9 p.m. weekdays, while on-peak rates apply from 11 a.m. to 5 p.m. But in “winter” – defined as Nov. 1 to April 30 – the charges reverse, with on-peak rates applied from 7 a.m. to 11 a.m. and 5 p.m. to 9 p.m., while mid-peak occurs from 11 a.m. to 5 p.m.
Good luck keeping track of all that. Plus, there’s so little difference between the mid-peak and on-peak rates – 8¢ versus 9.9¢ per kwh – it’s hard to see many customers changing their electricity use patterns because of them. Great. So which is it, premier? And why do you appear to be making up your policies on electricity pricing on the fly? Smart meters Jeff Bartels stands next to his hydro meter at his Kitchener home, Thursday. Bartels is upset with the new time-sensitive rates that started Thursday. WATERLOO REGION — Jeff Bartels is worried about increasing costs for electricity as local utilities start charging customers different prices at different times of day. Bartels, who lives on Sydney Street South in Kitchener, came home from work on Wednesday to find a letter from Kitchener-Wilmot Hydro. As of midnight that night, Bartels and his neighbours were switched to time-of-use billing that will see rates increase or fall, depending on the time of day the electricity is used. 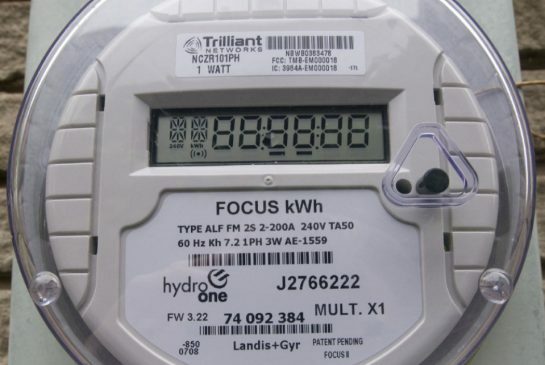 Smart meters have now been installed in most homes in the province and local utilities are now starting to use the technology to change prices for electricity according to the demand. When demand is high the price is high. When demand is low the price is low. Smart meters send wireless messages to nearby towers about how much electricity is being used, and more importantly, at what time of the day or night. Kitchener-Wilmot Hydro started switching over customers at the beginning of June and everyone will be on time-of-use billing by early August. Waterloo-North Hydro started in May and should have everyone on the new system by late August. Cambridge-North Dumfries Hydro plans to begin the switch in November and finish four months later. The provincial government implemented smart meters and time-of-use billing in an effort to lower electricity use during times of high demand and encourage conservation. Simply put, under the new system you will pay a lot more for electricity during times of peak demand. If you can use dishwashers, air conditioners, dryers, washing machines and showers during times of low demand you should not have higher bills and may actually save some money. Bartels said he now pays 6.4 cents per kilowatt hour. Under the new pricing the cost actually drops during off-peak hours — after 7 p.m. and before 7 a.m.
Bartels said that doesn’t help him much because he uses electricity during the day when prices are highest. “I have two young children, my day is seven to seven,” Bartels said. On top of the new prices, Bartels is really miffed about getting such short notice of the changes. “Many people are on fixed incomes on this street, and I am a single father of two young children, I don’t know how bad this is going to hurt me two months down the road,” Bartels said. “It seems like we are the ones getting nailed first, and I hate to say it, there are other people in the world who can afford this a little easier than the people on this street,” Bartels said. Jerry Van Ooteghem, the head of Kitchener-Wilmot Hydro, said the notices were mailed out more than two weeks ago and it’s unfortunate Bartels did not receive it sooner. On June 2, Kitchener-Wilmot Hydro began switching some of the 86,000 customers affected to the new-pricing system. 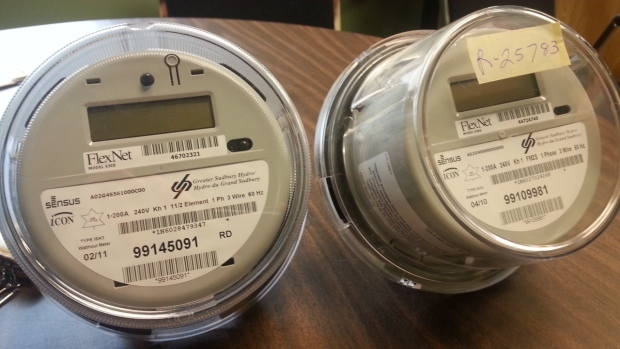 As meters are read customers are put on time-of-use billing at a rate of about 2,000 per day. Van Ooteghem said the utility trained its call centre staff to answer the most frequently-asked questions about the new prices and how customers can reduce electricity use when prices are highest. As expected, the utility is fielding calls from customers. “It’s a bit of an education thing,” Van Oogteghem said. On a monthly basis, electricity will be at its lowest price for 64 per cent of the hours. The medium and highest prices each account for 18 per cent of the remaining hours. “If you have something that is on 24-7 like your refrigerator, 64 per cent of the hours that it is running will be at the off-peak rate in a month, which is actually a lower rate than they are paying now,” Van Oogteghem said. Under the current system, as demand for electricity goes up during the day the province has to buy more expensive forms of electricity. The new rates are set to more closely reflect the cost of meeting demand. “What we are really trying to tell people is — turn things off basically, conserve,” Van Ooteghem said. Televisions, computers and radios should be put on power bars because they use electricity even when they are turned off. John Janzen, spokesperson for Waterloo-North Hydro, said the switch started for the 50,000 customers on May 9. The first ones to be switched to time-of-use pricing will not see a bill for the new system until July 20th or so. “So far we haven’t received a lot of reaction yet because no customers have received a time-of-use bill yet,” Janzen said. Barb Shortreed, spokesperson for Cambridge and North Dumfries Hydro, said about 45,000 smart meters were installed last year. Shortreed said advance notice will be given along with information on how to take advantage of the new pricing to save money. The smart meters and the towers that collect the data cost a lot of money and customers will pay about $2 a month on their bills to pay for the new infrastructure. John Milloy, Kitchener-Centre MPP, said for decades no provincial government upgraded the systems for producing and distributing electricity. Time-of-use pricing more closely reflects the cost of the electricity and consumers can benefit from lower prices by changing their habits slightly, Milloy said. “Over all it is a way for people to have more control over their energy use and their energy bills,” Milloy said. In recognition of the increasing cost of electricity in recent years the government brought in a 10 per cent reduction last fall, Milloy said. “We recognize some of the pressures people have been under,” Milloy said. 7am-11am: 8.9 cents per kilowatt hour. TORONTO — There’s no doubt the Ontario government’s $1-billion smart meter program for electricity is costing consumers more instead of saving them money, the opposition parties charged Monday. About 4.5 million smart meters have been installed in homes and small businesses to switch them to time-of-use pricing for electricity and away from the old, two-tiered system based only on total usage. Data from utilities in Bowmanville and Toronto show most customers with smart meters are paying more, while only a small number are seeing decreases, said NDP Leader Andrea Horwath. “There’s more people paying more than there are saving,” said Horwath. Toronto Hydro figures show 80 per cent of customers had increases averaging $1.50 a month, while 20 per cent had decreases averaging $3.70 a month. Figures from Bowmanville, east of Toronto, show 57 per cent of residential customers paid more for electricity than they would have paid on the old two-tiered pricing system. The giant transmission utility Hydro One, which is also a local distribution company for about one million customers, also found 57 per cent of customers were paying more with smart meters. The figures are preliminary, cautioned Energy Minister Brad Duguid, because no one has been using smart meters for a full year yet. “On average, consumers are saving modestly, and I would use the word modestly,” said Duguid. Progressive Conservative Leader Tim Hudak literally laughed out loud when asked if smart meters were saving anyone money. “I don’t think anybody actually believes the premier or his energy minister when they say that these smart meter tax machines are saving anybody money,” said Hudak. Hudak has promised a Conservative government would allow people to revert to two-tiered pricing and away from time-of-use so they aren’t forced to do dishes and laundry late at night. “I don’t think the premier should be dictating to families to have all the kids showered, fed and ready for school by 7 a.m. when the higher rates kick in,” said Hudak. Going backwards and unplugging the smart meters is not an option, said Duguid. “We’re moving toward time-of-use so that we can help Ontario consumers manage their energy costs and understand that there are different costs to energy, to the system, depending on when you use energy,” he said. Horwath called the smart meters “cruel and unusual punishment,” but said the NDP hasn’t yet decided if it would go as far as Hudak and agree to let consumers opt out and return to the old pricing plan. “We definitely think it’s a program that is not going to get the results we need to get,” said Horwath. Duguid insisted the smart meters would result in big savings over time, and said they were needed to upgrade Ontario’s power system to deal with everything from electric cars to smart appliances. Congratulations to Chatham This Week for breaking the news about problems with smart meters. Chatham-Kent Hydro will now be getting calls from people complaining about interference to cordless devices. And I will be digging through receipts so Hydro can reimburse me for the wireless equipment in our home which is now useless due to the interference caused by smart meters. Your July 4 story contained some comments from the Hydro spokesperson that, in my opinion, were misleading. ?All utilities that operate smart meters must secure a licence for the radio frequency, and Chatham-Kent Hydro has been issued one,? implies that the system is duly licensed, when it is not. The licence pertains to a data link at 220 MHz only; the smart meters are NOT licensed, nor are they required to be. But the smart meters do have to abide by the rules for unlicensed radio equipment (RSS-210), namely, they must not cause harmful interference to other users, and they must accept all interference, even if it causes undesirable operation. Despite being informed of problems last fall, Hydro continues to mistakenly assume that they have priority over other users of the 900 MHz band. Industry Canada sanctions no such protection, and warned that spending $4.6 million on an unlicensed and unprotected system was ?dangerous? since there is nothing to stop licensed users from rendering Hydro?s unlicensed system inoperative. The huge price tag doesn?t raise Hydro?s priority as a user. Hydro also stated that, ?People with cordless phones or similar devices can change the channel.? But the smart meter system actually monopolizes the entire 902-928 MHz band, meaning there?s not one single channel available which is free from interference. Residents can?t change the channel because there aren?t any that aren?t affected. Industry Canada has expressed concern that one user is using the entire band in a way that excludes the possibility of sharing with other legitimate users. The Radio Advisory Board of Canada, which recommends rule changes to Industry Canada, has already started examining this issue at its meetings. Of all the options available for smart meter data, the Ontario Energy Board rated 900 MHz systems as rather weak, since better options were available, including a licensed and protected allocation at 1.43 GHz. This frequency is effective across North America, and offers exclusive and protected use by the smart meters. Industry Canada is already expressing concerns about the use of 900 MHz for smart meter systems. Despite being allowed under today?s rules (subject to the ?cause no interference? clause), Industry Canada is ?examining how to deal with a single user who muscles in on a band and pushes everyone else off, and how they are going to deal with the pressure on other unlicensed bands that will follow if all the present unlicensed users move away from 900 MHz,? according to RABC member Richard Ferth. It?s hard to fault Hydro directly, since they likely relied on the recommendations of an outside consultant while choosing the system. Hydro ought to have followed Ontario Energy Board guidelines and explored other options. In any event, hydro is continuing to install a flawed smart meter system with a short life-expectancy which is guaranteed to cost far more in the long run than is being saved today. 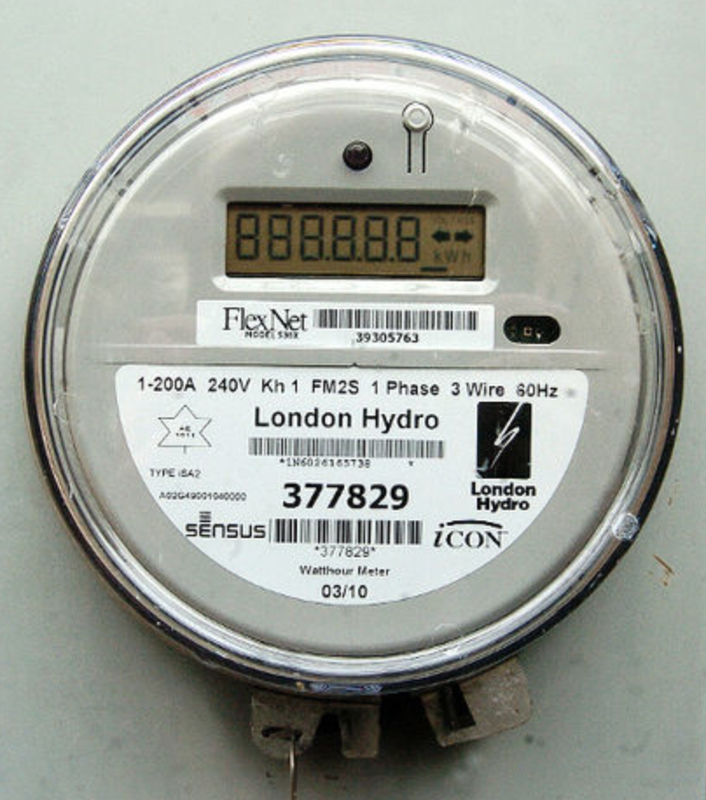 WATERLOO REGION — Local residents may soon see an extra fee on their hydro bills, as local distributors seek to get back the cost of installing smart meters. Waterloo North Hydro, Kitchener-Wilmot Hydro and Cambridge and North Dumfries Hydro have all applied to the Ontario Energy Board for permission to institute a new user fee. “The Ontario Energy Board has directed local distributors to apply for the capital costs for the installation,” said Margaret Nanninga, director of finance with Kitchener-Wilmot Hydro. In Waterloo, the average cost to a homeowner would be $2.03 per month for 30 months starting Nov. 1, according to the application. A general service customer with a monthly demand of less than 50kW would pay $8.47 each month for 30 months. The average Waterloo customer pays about $120 each month for hydro, Singh said. Up until April, users paid another fee for the meters. In Waterloo the fee was $1. But the proposed fees would make up costs that were not recovered. No new fees had yet been approved by the Ontario Energy Board. Derek Satnik, past-president of Community Renewable Energy Waterloo, said the fee wouldn’t do much for the smart meters’ reputation. “It’s terribly bad optics,” Satnik said, adding that it should be a reminder to homeowners to conserve energy. Kitchener-Wilmot and Cambridge-North Dumfries users would see less impact than those in Waterloo. “Residential customers would not be affected because of the revenues we’ve already received from (previous fee,)” Nanninga said. Kitchener-Wilmot customers would pay 60 cents — $1.40 less per month than in April — and wouldn’t likely see the fees until next year. Cambridge and North Dumfries Hydro spent about $8.2 million on more than 50,000 installations. Those customers would see no change from fees already paid of $1.61 per month. Users of less than 50 kW would pay $1.99. The company wants a start date of July 1, 2012, or retroactivity to that date, likely to continue to at least May 2014, according to its application. Waterloo North Hydro said in its application it had spent more than $10 million installing the meters at 52,000 homes and businesses. Kitchener-Wilmot filed its application a week ago so no reference number is available yet, Nanninga said. On Feb. 14, a Hydro One smart meter installer knocked on my door to inform me that he wanted to replace my analog power measuring meter with a smart meter. This is the third attempt that a Hydro One installer wanted to replace my analog meter, and this was my third refusal to have a smart meter installed on my house. I have four concerns about smart meters and they are: health, privacy, control of you and fire hazard. Therefore, I see no net benefits to myself to have a smart meter. Health Every smart meter transmits information about your power usage just like a cell phone. 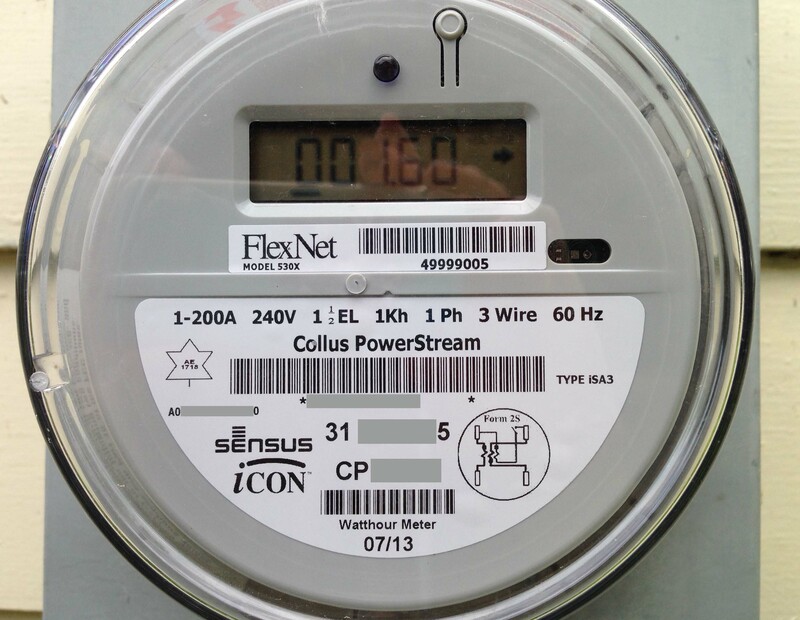 The smart meter uses powerful bursts of electromagnetic radiofrequency (RF)/microwave radiation to communicate with nearby smart meters and cell towers and send info back to the power company every few minutes or less. You are living within a microwave environment and your dwelling is acting like a microwave appliance. There is a medical study that shows the cumulative health effects of exposure to radiofrequency (RF)/microwave radiation that causes the breakup of the DNA, birth defects, cancer, blood pressure changes, sleep disturbances, headaches, and more than 100 other health problems. You will also get radiofrequency (RF)/microwave radiation from the next new appliance that you purchase. The new appliance will have a RFID chip that will communicate with the smart meter and thus exposing you to more radiofrequency (RF)/microwave radiation. Privacy The smart meter has the ability to collect accurate information of your power usage of each of your individual appliances (spying) and send the information to the power company. In order to accomplish the spying you will be required to replace all your appliances with Energy Star smart appliances that have a RFID chip that will communicate with your smart meter by wireless (WiFi). You will also be required to replace all your plugin receptacles with new RFID chipped receptacles. Then your smart meter will collect data when your washing machine and coffee maker are operating. If you don’t replace your old appliances and plug-ins with new RFID chipped appliances and plug-ins then you could be billed more for using old appliances. This plan is from the Earth Summit 1992 Treaty that is concerned with CO2 emissions that they claim is causing global warming (they now call it climate change as what happened this winter). Control The smart meter has a system of control. First of all, the smart meter will track your power usage at all hours of the day and you will be charged a different price that varies during the time of day. Power consumed at business hours will be charged at a higher price than off business hours. Those that have smart appliances will find that the smart meter will turn off the smart appliance when the power company decides that you are using too much power. Also, your power may be shut off in order transfer the power to another area. This is all part of the plan to integrate North America into a Smart Grid Power System. Fire hazard Smart meters have been causing fires and explosions in different jurisdictions of Canada, United States and Australia. Just in the last few years there were house fires caused by a smart meters in the cities of Pickering, Cobden, Deep River and other areas of Canada. There is a growing demand to ban smart meters across North America. In some of the US states it is optional and in other states there is a state-wide ban. 15 May 2009 … Local tabloid style newspaper. Part of the Sun Media national newspaper chain. Since moving to Ont. just about 9 years ago I developed severe pains in the back of my legs about 3:30 to 4am. We spent a great deal fo money to put the filters in our plugs, which eased the pain. My teeth ache and have literally shrunk and are now almost brown. I have pains in my hands,and while driving around I can tell when we’re close to a cell tower by the pains in my hands. What will happen to me now with the smart meter. BC now wants Smart Meters Installed and it will go all across Canada if not stopped. I decided to test their claim that using more off peak power will cost less. Over the last 12 months I calculated the average cost of a kwh on each bill and no matter what I did or when I did it the average cost of a kwh remained the same: $0.20. The last bill I got had 80% of my usage during off peak. This should have meant a reduction in the average cost per kwh. It had no effect. $0.20 per kwh just like on every other bill for 12 months! I was able to transfer 80% usage to off peak by installing my own solar panels and a battery bank. I am so disgusted by this that I intend to boycott them anyways possible until the day I can go fully off grid. As a result of TOU and their billion dollar smart meter program I have reduced my usage from 800 kwh per month to 200 kwh. It’s easy to go off grid now. Just a couple more panels and never pay them a single cent ever again. Solar panels are going to replace the 15,000 overpaid sunshine workers over the next 20 years as they price themselves out of their own cushy little monopoly. Adios amigos!